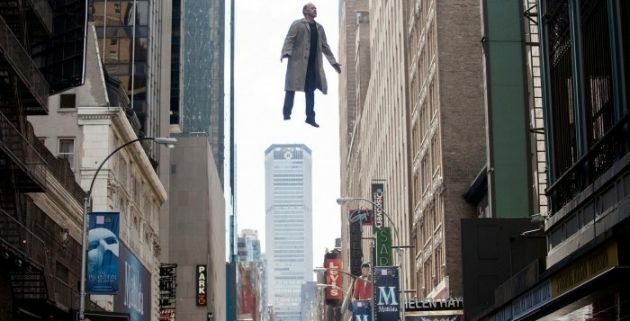 A movie as a spectacle, Birdman is a virtuosic experience - technically brilliant and much more sophisticated than action hero franchises it makes fun of. But at the same time, the whole premise is as light as a feather, its comments on Hollywood and its narcissistic actors are emotionally and intellectually hollow. As much as I love Michael Keaton, who commands most of the screen time, his Keatonness is buried deep in meta-ness of the film premise and so never gets to shine. It's as if he is going through the routine of a hamster in a cage, just like the film's universe - one block radius möbius strip trip from and to an unnamed Manhattan theater in the Theater District near Times Square. Ed Norton gets to play the more interesting part as Mike, a Brando-esque nihilistic actor who comes in to the troupe the day before the theater opens for the preview. Yet he is not written as a one dimensional character, so as other characters. There is much humanity to be found in characters and everyone's terrific acting-wise, from Norton, Emma Stone, Naomi Watts, Amy Ryan, Andrea Riseborough, Lindsay Duncan to even Zach Galifianakis. But there is not enough time to explore them all. Birdman wants to be many things- it wants to be a Robert Altman film (Raymond Carver connection too obvious? ), but only half-heartedly. It never succeeds as those it aims for. It's a fun film that never stops. But it's not a great film.